Beautiful signature light for models with Flat Lens turn signals. 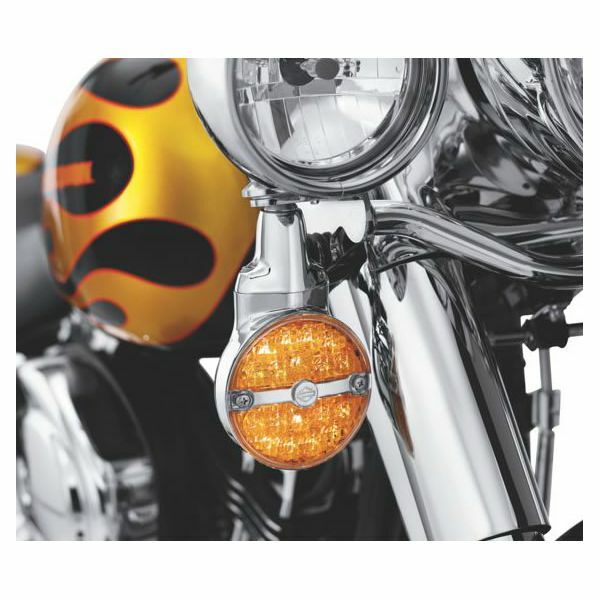 These Turn Signals feature fast acting, extra bright LED's set in a low-profile die-cast chrome housings. 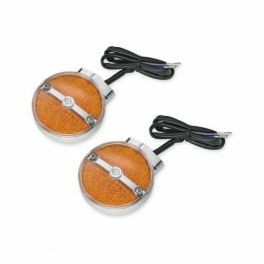 68411-10 fits '01-later FLSTC and '01-'13 Touring models equipped with flat lens turn signals.